Bollywood star actress Shraddha Kapoor is currently busy working on an exciting project titled as Saaho. The film marks her debut in South. The actress is one among those who enjoys a massive fan base all over the country. She has done something very touching which everyone is buzzing about, on the social media. Shraddha Kapoor has fulfilled the wish of her ailing fan who is suffering from third stage TB. 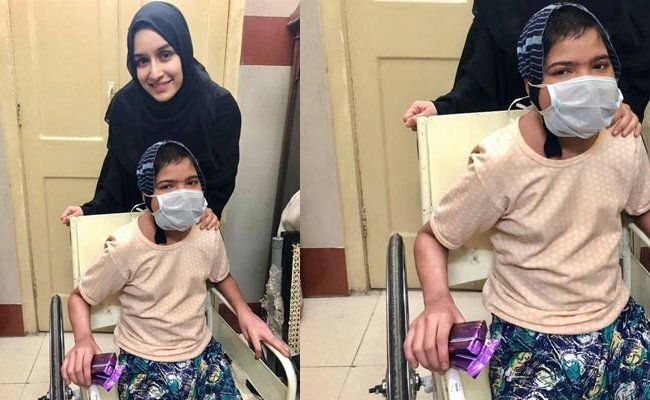 The 13-year-old fan named Summayya has been taking the treatment with the help of an NGO. Her liver got damaged completely and she needs emergency surgery now. The NGO found out that Summayya wants to meet Shraadha and they immediately took this to the heroine who expressed her interest to meet the fan as well.